One of my first experiences of traveling outside the comfort zone of Europe was while inter-railing when I was 22. For those who don’t know, this is a 30 day card which gives young people pretty much unlimited train travel throughout Europe – and, for some reason, Morocco. 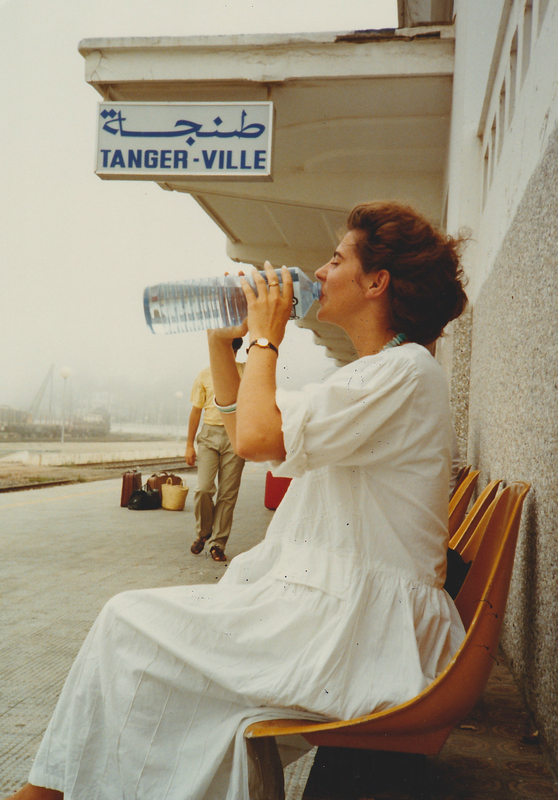 I’d got the ferry across from Algeciras to Ceuta and was now on a train to Marrakech. I was astonished by the heat, the pandemonium, the unfamiliarity and settled back into my seat to see what would unfold. Train travel is a fantastic way to arrive in a country. You have hours when you don’t have to make many decisions and can just absorb the atmosphere, observe the people and wonder at the similarities and the differences. Everybody else in my carriage looked and sounded Moroccan. After a while I got out my bottle of water, took a swig and started to put it back into my bag. That caused a bit of a stir that at first I couldn’t understand. What had I done to upset them? With the help of a young man who spoke French, and despite my on somewhat patchy school French, I worked out the issue. Water is life. We all need water to live. We never drink water without offering it to everybody. I overcame my Western hygiene squeamishness and proffered the bottle to my traveling companions. 2 or 3 took a drink, several didn’t, everybody was happy. Lesson One: water is life, we all deserve to live. A few hours later the train slowed down near some vineyards. There wasn’t a station anywhere in sight. I wondered what was happening and then heard the racket of tapping on windows up and down the train. It was a trading stop. The people working in the fields were offering grapes from their harvest and some other produce they conjured from somewhere. Those on the train offered bread, or cigarettes or sometimes money. After a few minutes of busy bartering the people in the fields stepped away from the train and it carried on its way. Lesson Two: fair exchange makes perfect sense. As the train went further south, stopping here and there, it gradually got emptier and emptier. If like me, you live in a busy city, that is usually the cue for people to spread out, to increase their territory by moving maybe to an empty row of seats, or scoring a table or a window. On this train the opposite happened. Everybody kept clustering until there were a couple of completely full carriages and many virtually empty ones.They continued to share their food, now with strangers. To entertain each other’s children. To point out interesting stories in their newspaper or help with a troublesome bundle of goods. Lesson Three: we don’t have to struggle alone, there’s joy in gathering together. It was quite an adventure for me. I had learnt so much and I hadn’t even ‘arrived’. The kindness of strangers and the value of a society where the default is to help each other made a lasting impression.